A nice, small map of Antarctica. With this map we now have maps of every continent! Review by slejer on 9/28/2012. 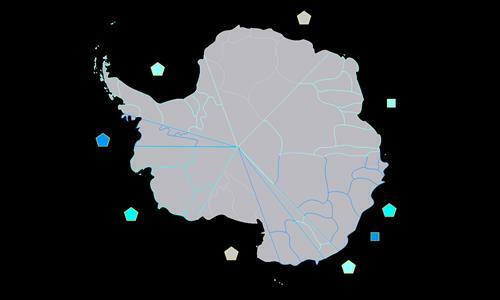 Well, there's no more ways of dividing Antarctica than the claims, and (arbitrary) regions. Review by perkeletor on 12/24/2012.